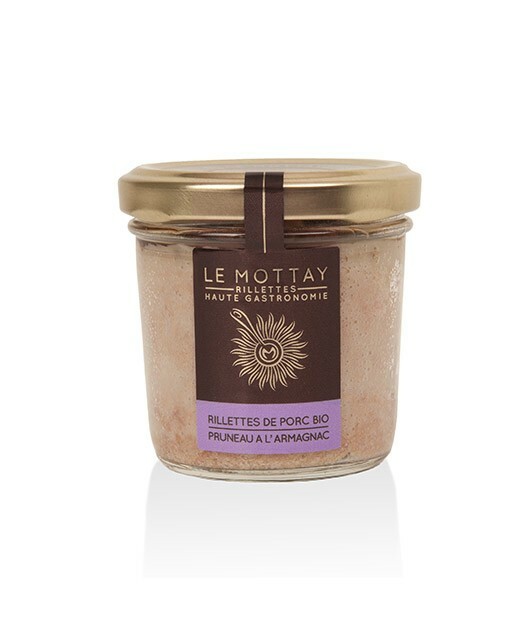 The brand Mottay Gourmand offers rillettes for any occasion. Its original recipe with pineapple and curry will surely surprise surely you thanks to its unique exotic taste. 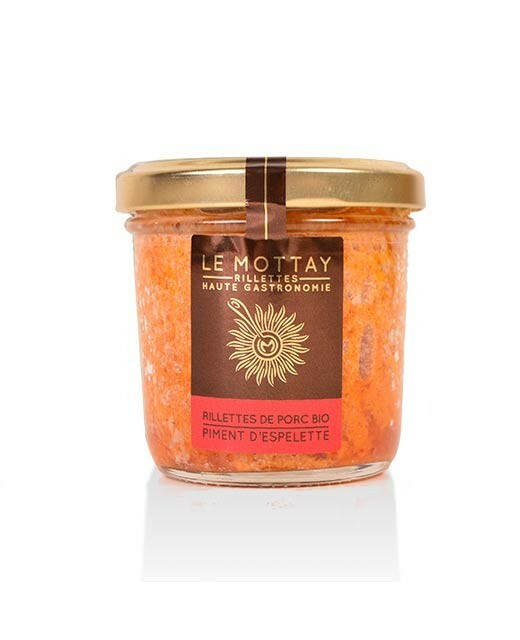 Enjoy these rillettes as an appetizer on a piece of fresh baguette. 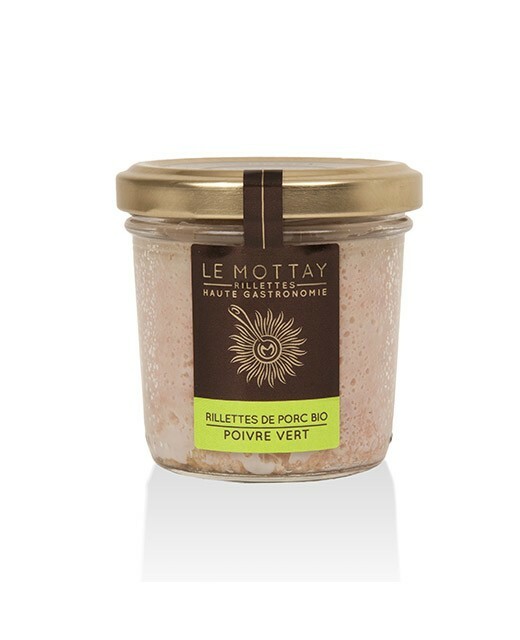 Pork 91% *, pineapple 7%, sea salt, curry 0.8%, white pepper *. * Ingredients from organic farming. 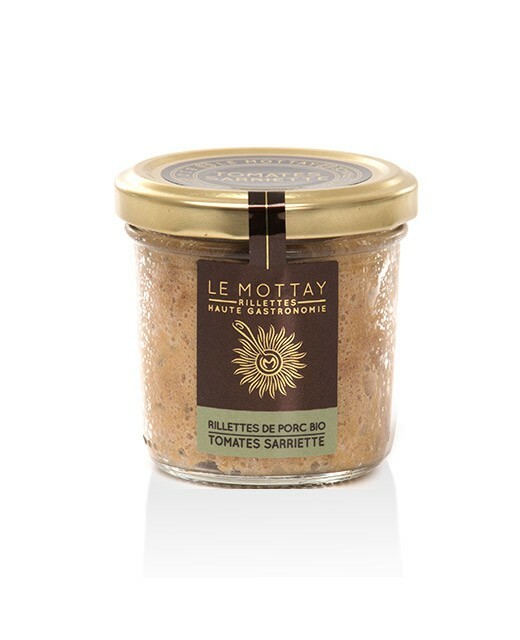 Coming from the Haut Anjou region, the traditional recipe of the smooth rillettes of the Mottay Gourmand is carefully prepared: cooked for 18 hours, the organic pork meat is then crumbled by hand. After a strict selection, Mister and Misses Martin, founder of the brand, kept 5 original flavors made with certified organic ingredients. The pigs are raised outdoors, or on hay, and are fed with tricitale, barley, corn and soy. Alcohol, spices, fruits and vegetables are also organic and carefully selected. 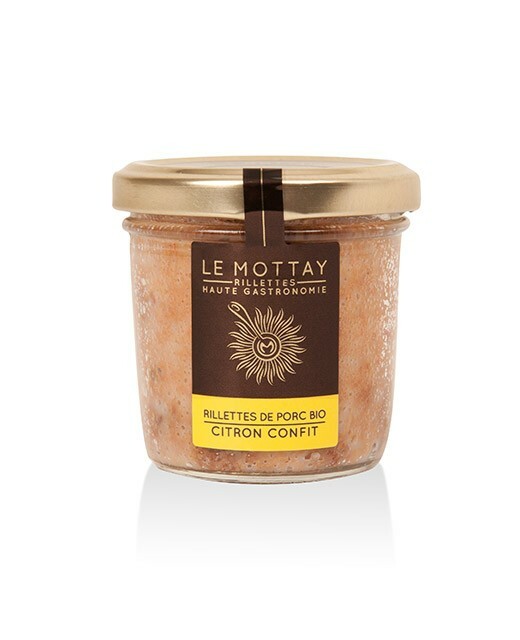 rillettes, organic pork, pineapple, curry gourmet Mottay. 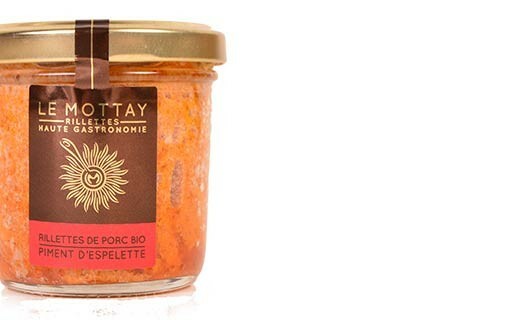 rillettes, bio, porc, ananas, curry le mottay gourmand.